Call to Action: Nominate that Deserving Someone! You know who they are! We’ve made the nomination process quick and easy. As training professionals, you know that recognition is a key ingredient in motivation and inspiration. Take just a few minutes to nominate that deserving someone for one of CHART’s awards or scholarships. The recipients are recognized at the summer CHART conference. 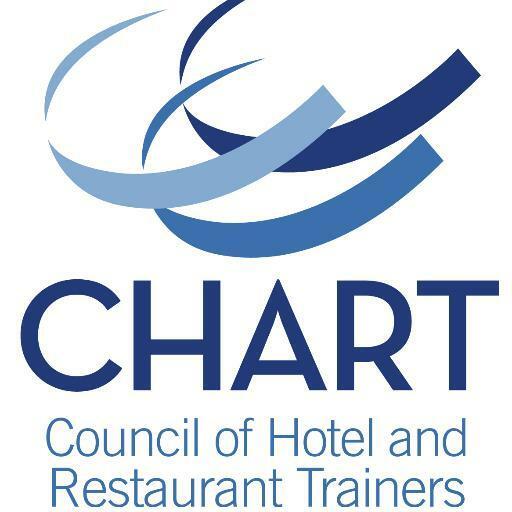 The CHART Commitment to People Award was created in 1993 to recognize leaders in the hospitality industry who demonstrate a continuous dedication to people. The award is presented annually to a member's CEO/President in recognition of their outstanding commitment to the development of people in their organizations. Any employee in the nominee's company may submit the nomination. Send a deserving trainer to CHART for free! The Learning Legacy Fund was established by CHART members to provide a need-based professional development grant for trainers who have shown potential and passion for the profession, but who lack sufficient budget to attend a CHART conference. The grant covers the candidate’s conference fee, three nights hotel, airfare, and a stipend to cover other expenses. Sometimes obvious and also brilliant at the same time! The Training High Five recognizes effective training ideas by CHART members. Each year, five ideas are chosen from member submissions of their training tip, game, or solution that really works and that others can easily adopt and implement. The essence of Learning, Sharing, Growing, & Caring. This award is presented to CHART members who have assisted in moving our association forward through contributions that have been above and beyond expectations. The Spirit of CHART Award represents the essence of a CHART member's commitment to CHART’s guiding principles of Learning, Sharing, Growing, and Caring.